And... if you order any of these books by clicking here, we get a cut, which helps pay for our web hosting service! Pros: This the best resource I've found for Scottish Gaelic names. Cons: it doesn't list that many names that are unusual. It also can be hard to find. Pros: accurate, user-friendly, nice layout. Cons: doesn't have that many names; not very comprehensive. Pros: has lots of history, fairly comprehensive and accurate. Has names that are popular in Scotland though not necessarily Scottish in origin. Cons: contains a lot of names that aren't necessarily Scottish--casual browsers may think some names are Scottish when they aren't. Pros: lots of history, pretty accurate, nice layout. Cons: Though there is generally at least a full paragraph about each name, there are relatively few names in this book. Cons: I'm not a good enough genealogist to know if it's accurate or not, so I can't really find any. It doesn't look like there are a lot of names. 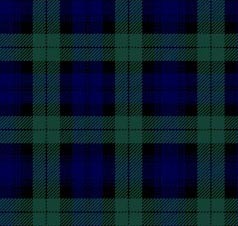 Pros: has lots of beautifully illustrated tartan pictures. includes family crests, badges, and mottos. Cons: hard to find; there are probably a zillion books out there with the same info. pros: If you're into Irish names, this book is indispensable. cons: it's very scholarly, and names are alphabetized by their original Old Irish Spelling. Cons: not separated by gender, if you care. Also, doesn't include pronunciations. Pros: One of my favorite Irish baby name books--the information is accurate, and it's arranged by meaning as well as alphabetically. Cons: The picture on the cover is kind of dumb. Seriously, that's the only fault I can find! Pros: interesting and entertaining. Arranged by subject by the authors of Beyond Jennifer & Jason. pros: This is a very good resource for Irish surnames. cons: has a bunch of additions and appendices which are really hard to find. Pros: This is the best book I've found so far! Lots of names, seems accurate. Pros: A re-print of a scholarly work that came highly recommended to me. Cons: I haven't read it yet, so I can't verify the claim. note: This book was recommended to me by a good source. However, I haven't actually looked at it yet, so I can't verify its accuracy. Pros: By the same author as the above featured book, which is my favorite. Cons: haven't read it, but I'm sure it's at least as good as the above. note: This book was recommended to me by a good source. However, I haven't actually looked at it yet, so I can't verify its accuracy. Cons: you have to read French (not in English). Hard to find. Pros: comprehensive, interesting, contains pronunciation guide in the back. Cons: hard to find, all in French. Pros: fairly accurate & comprehensive. 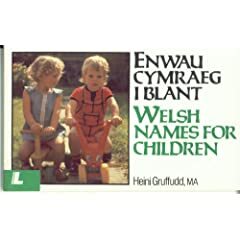 Has Irish, Scottish, Welsh, Cornish, Breton, Cornish and Manx names. Has lots of name history. Pros: Lots of names, including Manx, Cornish and Breton. Has names I haven't found in other books. Cons: no pronunciations, seems fairly accurate, but doesn't go into a lot of detail about the names. Pros: seems pretty accurate. Names are divided by language. Has pronunciations & pronunciation guide. Has lots of name history. Cons: not always 100% accurate. Cons: I like it when place names are broken down into root words; this book does not do that. Also, doesn't say what county the places are in. Pros: Contains place names from England, Scotland, Wales, and Ireland. Comprehensive and informative. Cons: place names are not broken down by country, so, say, if you want a list of place names in Wales, you'll have to read the entire book. However, I have another book by this author that seems pretty good, so I'd trust him. Pros: This book has beautiful illustrations, a lot of history, and is very comprehensive. Contains a lot of mythology and folklore aspects, as it relates to King Arthur. Cons: Only about things relating to King Arthur, so not a mythology book in general, if that's what you're looking for. Pros: This is indispensible to those interested in Celtic and particularly Welsh mythology. Good translation. Pros: This book is very comprehensive... almost overly so. Cons: It has lots of info about Norse and Greek gods, which may be irrelevant if you're just looking for Celtic mythology. Cons: not scholarly, if that's what you're looking for..
Cons: written in the early 1900s, and contains an appropriate world view from that era which can be distracting. Cons: not really about mythology, I should probably make a separate category for it or something.